After reading all of that, it’s hard not to get excited about the future of women in the UAE and beyond. However, I feel that these statistics also raise another important question about the current position of women in global societies: how did we get to where we are today? Every woman, regardless of whether she’s sitting in a classroom, leading a meeting, or casting a vote in an election is there because brave pioneers throughout history imagined a different world for them, and then fought to make it a reality. Now, it’s time for us, a new generation of men and women, to leverage our newfound agency to, yet again, fight for a better world for our youth to live and work in. This may seem like a daunting task, and I’m sure you’re probably asking yourself: how can we maintain this positive upward momentum? For me, there’s only one answer to this question: transforming our global concept of grit. According to the Merriam-Webster dictionary, grit is defined as “firmness of mind or spirit: unyielding courage in the face of hardship or danger.” Now, I know it sounds like I’m about to launch into a high school graduation speech, but I feel the need to highlight how our global societies define grit, so that I can proceed to dissect it. Truth be told, in my experience, grit isn’t always about feeling exceptional courage in the face of fear, or tenaciously fighting to achieve one’s goals. It isn’t even about being positive all the time. It’s about committing to a goal (no matter how you feel about it from one day to another), and then tackling it every day, in some shape or form. However, in the mystical land of entrepreneurial philosophy, it often feels like this interpretation of grit is unwelcomed, because it’s not attributing it to an entrepreneurial je ne se quoi. In fact, it makes the idea of grit seem so mundane that it makes it feel like anyone of us could hone this practice- which might be part of the problem. What do I mean? Well, if you’ve read as much entrepreneurial literature as I have, you’ll quickly start to discover that so much of what’s being said about grit is disingenuous. Why? Maybe because by making this idea accessible to the masses, it might start to lose its mysterious appeal. But at this stage in our human development, can we really afford to jealously hold on to philosophical platitudes that don’t move us forward? The answer is no. With that in mind, how can we turn this tired old buzzword into an actionable to-do list that can strengthen the stakeholders in our regional and global economies? I’m glad you asked: here are 12 ways that I believe we can mainstream the idea of grittiness into our day-to-day lives, so we can start effectively building the human capital of women in the MENA region, and creating more functional and equitable talent pipelines in the future. Entrepreneurs know that you can’t make authentic decisions for your business until you understand what your core values are. In life, when challenges (and shortcuts) present themselves, it’s tempting to take the easy way out. However, these are the decisions that most of us come to regret, because, in hindsight, we realize that while they were easy to make, they go against everything we believe. Consequently, not only do they end up costing us in a literal sense, sometimes they also negatively impact our standing in our communities. That being said, I don’t think we should only be vigilant about making life choices that are in line with our values because of the effect that they might have on our personal or professional brand– we should also be concerned with it since internal alignment is an essential part of cultivating grit. In essence, the level of conviction that’s required to achieve any kind of pioneering objective can be exhausting to maintain. So, if the decisions you’re making on a daily basis aren’t compatible with your values, then it will be very hard to maintain that level of conviction. However, if you believe in what you’re doing, and you’re confident in the difficult decisions that you’re making (no matter how detrimental they might seem in the short-term), then you’re less likely to lose the conviction you need to achieve your goal. This idea was beautifully exemplified by Aparna Verma, founder and CEO of Scholars International Group, during the Voice of Entrepreneurship segment of the forum, when she recounted the story of how someone made an inappropriate offer to help her achieve her dream of building a school, and she refused it on moral grounds. Her reasoning: “I’m not going to give up who I am.” And guess what? She still managed to achieve her goals, the right way, with her core values and moral compass intact. But how many of us would have the strength to make those same decisions? It’s true; these decisions aren’t easy, but if you know who you are (and you’re willing to fight to preserve who you are), then grit is a natural outcome, because you won’t be willing to compromise who you are for a short-term gain. Whether you’re talking to women in senior leadership positions or in male-dominated professions, you’ll often hear them lamenting the fact that their leadership style causes them to be labeled as “aggressive” or “bitchy.” Whereas, men with the same leadership styles would be revered as exemplary leaders. Now, before anyone takes an exasperated breath, I would like to make one thing clear: female leaders can have aggressive personalities by nature, and men can have good leadership skills. The problem isn’t entirely linked to gender, but rather, perception. That’s why it’s important for workplaces in the MENA region to tackle the issue of gender inclusionusing various channels, so we can start creating professional spaces where gritty men and women (regardless of their position) feel welcome and respected. 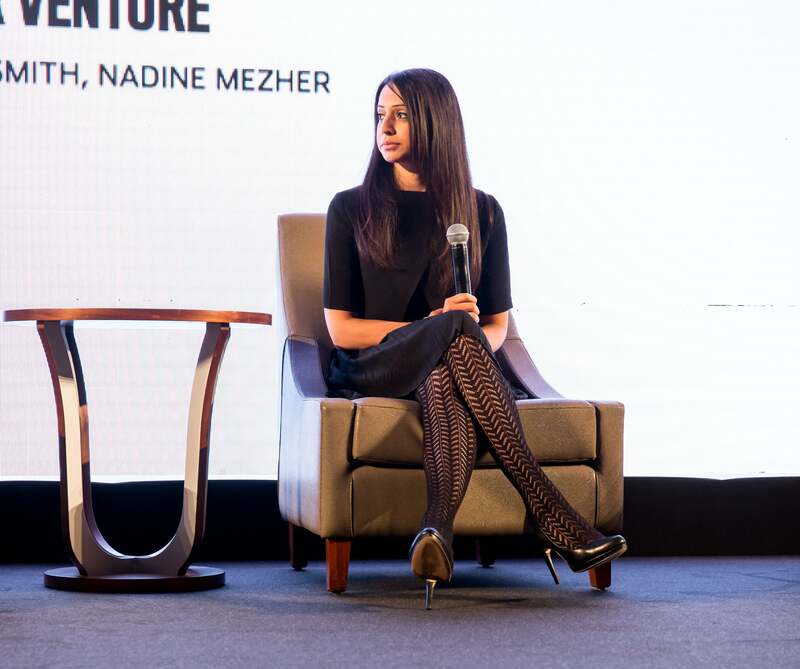 While this might be more challenging in multinational companies that have to navigate the complicated intersectionality of established corporate culture and local gender norms, the MENA region’s startup ecosystem has a unique opportunity to build standard operating systems that champion gritty men and women. However, creating this kind of culture can be hard, as such policies may be misconstrued as being some form of retroactive revenge on men. But, of course, that’s not the case at all: these measures are being implemented because this generation of women (i.e. the first generation of women to join the workforce in full force) have developed a unique sense of grit, which could be an amazing resource for our economies. Now, I ask you, imagine if more workplaces in the MENA region empowered these women to share this grit with us? Our economies would be unstoppable. If I had to use an analogy to explain the gender inclusion struggle, I would use the example of an update on a popular app. Whenever there’s a dramatic change in the user interface or experience of an app, there always seems to be a lot of resistance to it. Some people will grumble to their friends about how inconvenient it is, and others will take to social media to express their displeasure of the said update in the most irritating way possible. Then, eventually, people will get used to the update. Some people might even end up liking it. Eventually, most won’t remember the app as ever being without this feature. And as far as I’m concerned, the issue of gender inclusion is no different. It’s just another “update” that we have to implement in our workplaces in the MENA region. Initially many people may dislike it, many may resist it, but it will then grow on them, and they soon won’t remember a time when the workforce wasn’t gender balanced. But how can we get more workplaces in the MENA region to implement gender balance initiatives in the first place? 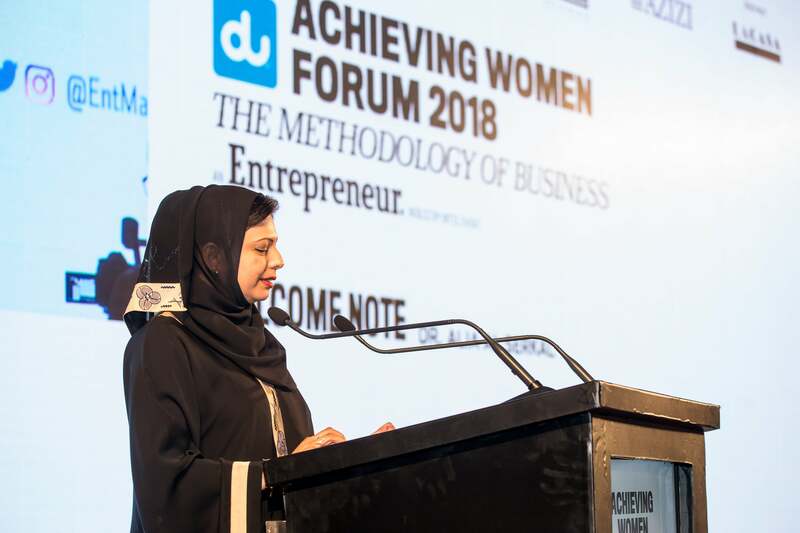 During the forum, Ayla Bajwa, founder, Ampuz and Senior Advisor to the United Nations Global Impact UAE Local Network, highlighted the UN’s unique approach to tackling the challenge of gender inclusion by looking at it as a health and safety issue. This is an interesting approach, because it reassigns a development term, which comes with a lot of emotional baggage, to a logical category in the language of business. As a writer, I appreciate this approach, because I’m tired of seeing the word gender being used as a synonym for “lady problems.” Gender is a social construct, and there are plenty of male stereotypes that limit them from living fulfilling lives. Therefore, it’s time we stop conflating the idea of gender with women and men with patriarchy, so we can actually tackle the human problems that are preventing us from nurturing a generation of gritty men and women. Whether you’re flushing because the AC stopped working, or because you were on the receiving end of an inappropriate advance, linguistically, we have to start treating these workplace situations as exactly what they are: unacceptable safety issues that make employees feel uncomfortable. As a woman in the workplace, one of the hardest urges to fight is the need to constantly be perceived as being nice. While I wish that I could say that I’ve never felt pressured to pander to society’s incessant need for me to be the blandest adjective in the dictionary, I’m afraid that I can’t. Like many women from the X and Y generation, I was subliminally (or not so subliminally) taught that I needed to be as non-threatening as possible as a woman just so that I wouldn’t scare off any potential suitors. But here’s the problem: for many women, that need to be liked has become so deeply embedded in our psyches that we hate the idea of being disliked by anyone- no matter who they are. However, as Dawn Metcalfe, founder of PDSi and author of The HardTalk Handbook, said during the forum: “Being nice doesn’t mean that you shouldn’t speak up.” If women in our global workforce don’t get comfortable with having difficult conversations, then they can only look forward to being liked, instead of developing the grit that they need to be heard. Now, some women might read this, and say “But I’m not very good at negotiating,” or “I work in a workplace that’s very resistant to change.” While this may be true, there’s something that you need to keep in mind, as you fight for your right to grit. Just like you, many leaders (male or female) make decisions based on their emotions- not logic. Consequently, as Metcalfe said during the forum, you need to understand where your decisionmakers’ emotions come from, and “listen hard for facts, opinions, and opportunities to ask questions,” so you can improve your ability to understand them. Ultimately, if we want to nurture more gritty women in MENA workplaces, not only do we have to encourage them to create their boundaries, we also have to teach them how to enforce them- no matter what anyone thinks. At this point, I think it’s time that women stop fighting for gender inclusion as a moral obligation, and start negotiating it instead, because when we do the latter, we show our counterparts that we know what we’re worth, and that we’re not willing to back down. All of my life, I’ve been extremely lucky to have amazing mentors. While many of them didn’t have titles or positions of leadership, they were leaders nonetheless. They taught me what my school and university curricula often overlooked: the art of living, giving, and receiving. In essence, they taught me how to take all of the knowledge and experience that I accumulated at each stage of my life, and transfer them into actionable life goals. They also taught me the definition of giving and receiving, and how I could use it to empower myself, while also empowering others. For me, gender inclusion isn’t only an objective that can be achieved by enshrining its ideals in the letter of law, we have to teach our children (both male and female) how to make this ideal a part of every aspect of their lives. In her book What Works, Iris Bohnet wrote that “a great leader is a behavioral designer,” and I couldn’t agree more- because it highlights an important quality of a true leader: proactiveness. A leader doesn’t passively wait for the behavior of people to change, they incentivize change by understanding their behavior, and reorienting them to achieve their goals. But how can we teach people how to do that? This is where mentorship can play a critical role in our societies and business ecosystem. 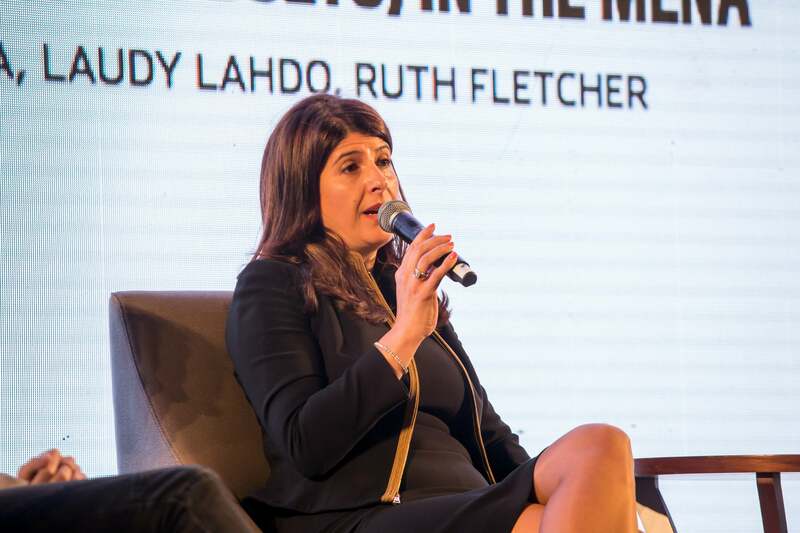 As Laudy Lahdo, General Manager of Servcorp, and Founding Partner of REACH Mentoring, said during the forum: “Mentoring is a powerful development tool.” As I mentioned before, mentors don’t always have to an official leadership title to be a mentor. 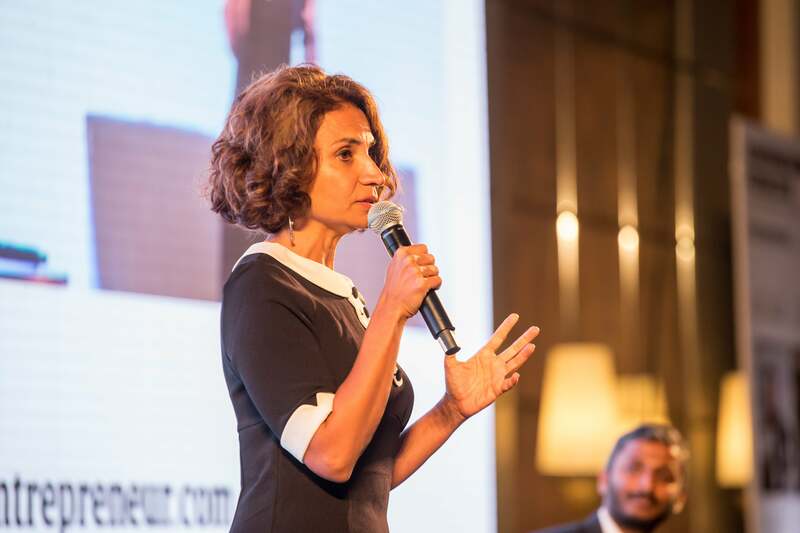 However, I think that leaders who do should always try to leverage their positions to mentor grit in their subordinates, because as KBW Investments Chief Communications Officer Fida Chaaban shared with the audience at the forum, mentorship is all about “learning through osmosis.” So, how do we take the idea of gender inclusion from an ideal that we talk about at conferences, to an ideal that we integrate into every element of our workplaces? First, as women, we have to understand, as Lahdo emphasized, that “inclusion isn’t empowerment. We are [already] empowered.” Now, all that’s left for our social and business leaders to do is to show their respective followers that not only is female grit welcomed, it’s also encouraged. 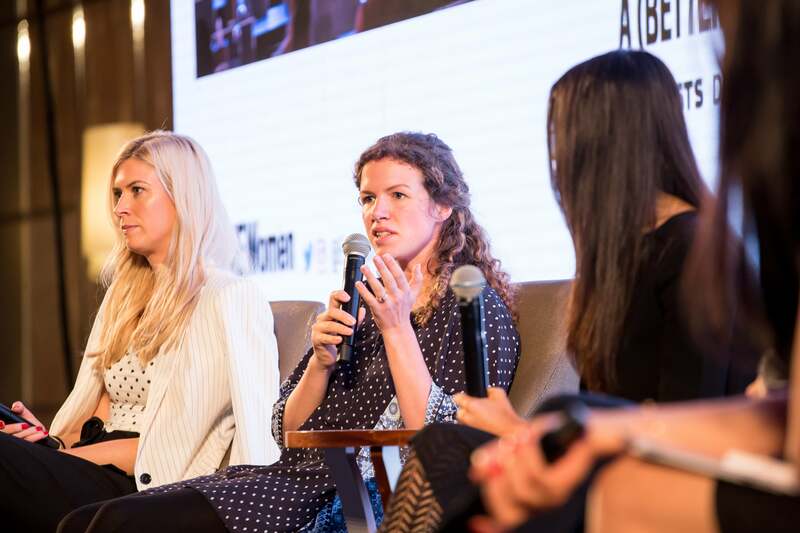 When you hear all the statistics about women in the workforce and global startup ecosystems, it’s very easy to get discouraged, or even worse, just give up. While the idea of giving up might seem quite straightforward to some of you who are reading this, I’d have to disagree, because there are also many ways of giving up even before you make it official. 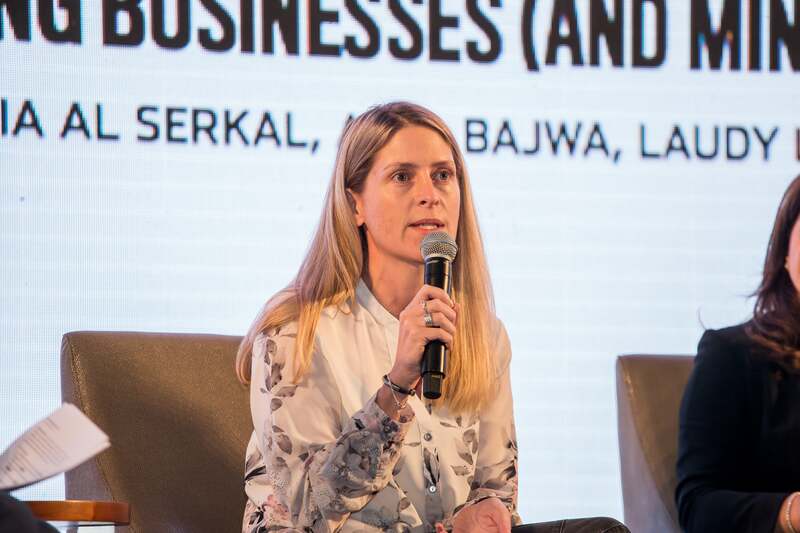 During the forum, Sophie Smith, co-founder and CEO of Nabta Health, shared a few examples of how female entrepreneurs can go the wrong route with their respective careers. One is when they constantly pepper their startup pitches with popular (yet inane) buzzwords, which often demonstrate a lack of confidence in the strength and integrity of their core values and business model. They also consciously (or unconsciously) undervalue their startup and themselves, in some kind of strange attempt to precipitate the failure that they think is “inevitable.” Others limit their business and personal potential by confining themselves to the parallel worlds that are being created to promote female-friendly environments for women and female-led initiatives. This list of mistakes could go on and on, but the point is that there are many ways that women give up on themselves before they officially give up, because, on some level, we’re taught to be afraid of living in a man’s world. But how can we possibly promote gender inclusion if we’re too afraid to confront -or even question- the structural injustices that supposedly make this world a man’s world? Now, don’t get me wrong, I’m not saying that female-focused initiatives should cease to exist or be sidelined. However, there needs to come a point where we leverage these platforms to prepare women to develop the skills, knowledge, and grit that they need to go out into the real world, and start purposefully and systematically fighting this structural injustice with their innovations. After all, there’s no point in encouraging women to go out there and pursue their goals, if we’re only going to tell them to limit themselves to the supposed safety of the “female bubble.” Ultimately, we can no longer afford to live in a man’s world, and we can’t also try building a parallel female world, because we all live in one world together, and we have to figure out how to make it work for all of us. Here’s a question for you: do you like feeling uncomfortable? Whether you’re a man or a woman, the answer to this question is usually a resounding no. However, there are countless studies out there that prove that men will persevere in the face of discomfort to achieve their goals, while women will not. Does that mean that men are more driven than women? No. This phenomena goes back to the point that I mentioned earlier about how women are traditionally raised to be (or at least seem) more “amiable.” While men are subliminally taught that persistence is the key to success and masculinity, women are instead taught that submissiveness is the key to success and femininity. Again, I know that this might not be the case for all people or all cultures, but in my experience, it’s overwhelmingly so. So, the question remains: how do we counteract this negative and insidious gender stereotype in MENA workplaces? The answer is simple: make use of logic. It’s simple, because being successful in the traditional workforce or the startup world isn’t about being fearless in the face of the unknown, it’s about being prepared for it. Planning is to fear as what an evacuation strategy is to a fire. If you can override your insecurities by being prepared, and anticipating possible gaps in your pitch or résumé, your fear will become irrelevant- even if it’s there. With that in mind, more women need to accept that fear is inevitable, but paralysis and defeat are optional. Therefore, you need to become more gritty by preparing for your fear by doing your homework. Whether you’re pitching to a potential co-founder or investor, make sure you know everything that you need to know to accomplish your objectives. To this day, the phrase that I detest the most is “boys will be boys,” because I’ve had this idea communicated to me in different languages to justify a myriad of unacceptable male behavior. It’s an idea that not only enables harmful patriarchal beliefs to persist, it also limits our social, economic, cultural, and political growth by limiting both male and female potential. Gender bias isn’t just responsible for keeping women out of education or workplaces; it’s also keeping diversity out of the realm of innovation. After all, how can companies build products and services for women, mothers, people of color, Muslims, so on, and so forth, if these demographics aren’t represented in the teams that build these products and services? They cannot- at least not effectively. If we want to unlock the full potential of the MENA region’s economies, then diversity -especially gender diversity– needs to become a policy priority, because without it, we’re ignoring a substantial part of our educated workforce and consumers. As far as I’m concerned, gender inclusion can no longer be perceived as a moral obligation- it must be seen as an economic imperative, so things can change at a more accelerated pace. But again, how can we achieve this? 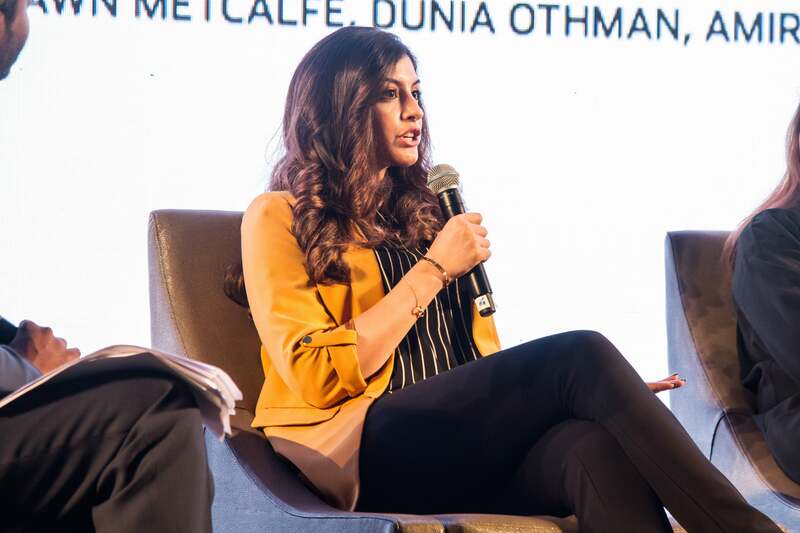 The idea of gender inclusion has to originate in our homes, as it was in the case of Dunia Othman, co-founder and Chief Marketing Officer at mrUsta. “I wasn’t raised to think I couldn’t do something just because I’m a woman,” Othman noted during the forum. “And that’s why I’m an engineer.” That being said, unfortunately, many women are taught that they can’t do things because they are women. Keeping that in mind, for those of you who are parents (or even in leadership positions in our community), I ask that you start to pay attention to the things that you’re saying to the impressionable youth around you. Although you might have good intentions, the things you’re saying might be undermining the gritty women in our communities. If you start to pay attention to what you’re saying, and realize that you’ve unconsciously been promoting gender exclusive ideals, you shouldn’t feel especially guilty, as almost all of us are at fault in this particular matter. However, that shouldn’t stop you from actively resisting your “social formatting,” by proactively campaigning for gender inclusive ideals in your homes and your social, economic, cultural and political institutions. But this isn’t only true for negotiating. There are so many skills that we practice in our personal lives that can be brought into our workplaces and vice-versa. Who said that there couldn’t be any overlap? Let’s be honest: how many people live their lives in silos anymore? Even if you want to, it’s getting harder and harder to do so, now that technology has enabled us to work remotely and on the go. But again, is there any need for us to live like this? Personally, I feel that many employees are adversely affected by this rigid mentality- especially female employees. I don’t know about you, but parents amaze me because they have to juggle building a healthy relationship with their partner, while raising well-rounded human beings, managing their finances, and much, much more; all while having a full-time job in many cases. However, even if they were just saying at home, does that make the grit that mothers (and yes, fathers too) gain in their daily pursuits any less valuable? No, it doesn’t. That’s why workplaces in the MENA region need to start acknowledging and celebrating this special form of grit, so that we can start harnessing it more effectively. 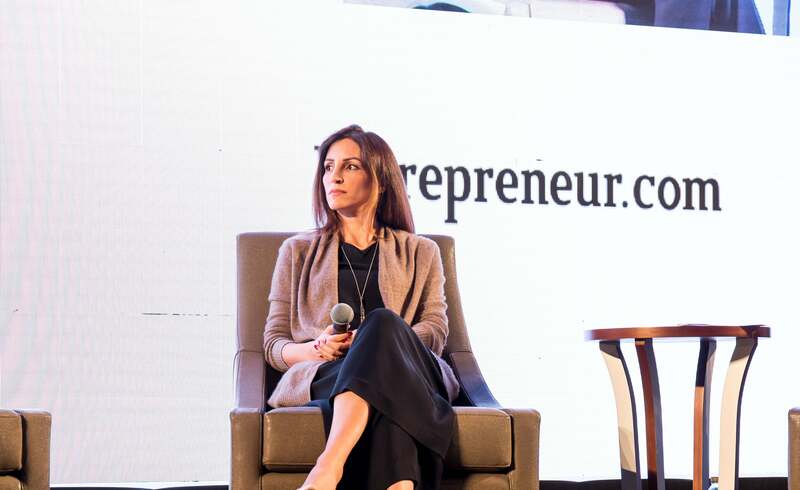 Over the past two years, Aby Sam Thomas, Editor in Chief of Entrepreneur Middle East, has kicked off the Achieving Women Forum by highlighting how proud he is to be leading a team of talented women, and acknowledging the amazing work they do to serve entrepreneurs in the MENA region and the startup ecosystem as a whole. Now, this might strike some of you as an unnecessary thing to point out, because it’s common courtesy for a leader to thank his team. But I think it’s safe to say that many employees out there have never had their hard work acknowledged. Personally, I think this is sad and inefficient, because positive reinforcement is quite possibly the most cost-effective method of motivating your workforce as a leader. It doesn’t cost anything to act and speak with respect, but for whatever reason, many leaders in MENA workplaces insist on using the stick for motivation. That being said, the only thing that’s worse than not being acknowledged for your hard work is to have it be attributed to others. Or worse yet, to be undermined and ignored by everyone around you! Unfortunately, this often tends to be the case for female leaders and employees in male-dominated fields. During the forum, Hiba Jaber, Lead Structural Engineer at Lacasa, shared stories of incidents where clients contacted her male peers to find “someone in charge”- even though she was the person in charge. Unfortunately, this happens more than we’d like to think, so what can we do to change this? 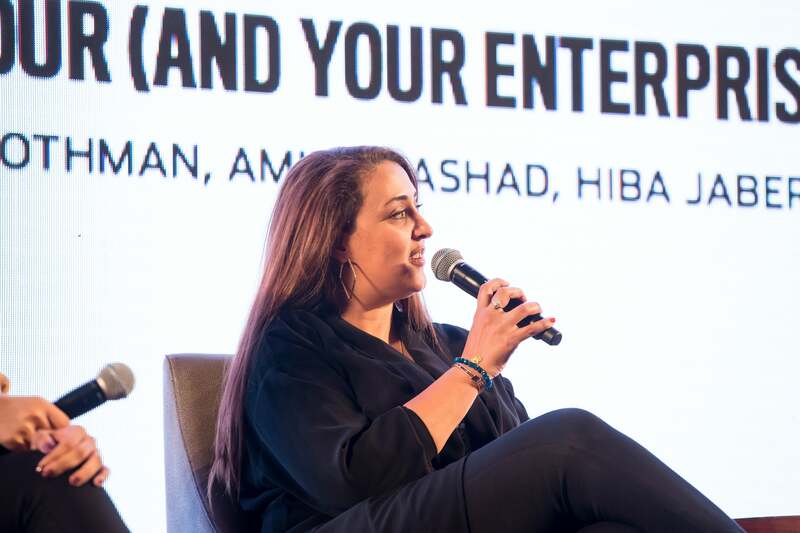 As far as Jaber is concerned, you have to “be a leader- don’t be apologetic for doing your job.” In her case, being a leader means responding to these kinds of dismissive inquiries by reminding the customer who’s the boss: her. This is easier said than done, but I believe that there are strategies that can be implemented to empower women to be gritty and share their ideas in their workplaces. For example, during the Obama administration in the United States, his female staff ensured that they were heard by constantly repeating other women’s ideas, and making sure to always credit the originators of the same. Ultimately, I think it’s important for more leaders to start acknowledging the efforts of their employees(regardless of their gender), because it encourages them to take more risks, work harder, and be more innovative, thus creating a more gritty, dynamic work environment. After stumbling a lot in my personal and professional lives, I’ve learned many important life lessons. However, I think that the most important lesson of all is that you have to know your worth, because if you seek to have your worth assigned to you by others, you’ll never be confident in who you are. The grit that I’ve been lucky enough to nurture over the past couple of years have come from accepting three simple ideas: I am valuable, I create value, and I can add value to others. When I began to believe these ideas, my life completely changed. Why, you ask? Because not only did I start to truly respect myself (and what I have to offer the world), I also became less inclined to compromise my beliefs to forge relationships with people whose values didn’t align with mine, no matter what the cost. Consequently, I’ve become a much stronger person and negotiator, because I know my worth, and I make sure that others do too. Making this transition to being grittier can be difficult, because you will lose “friends” and business in the process. However, it’s necessary, because a good partner will never let you accept less than what you’re worth. This is especially important when you’re looking for someone to invest in your startup. That’s why, as Nadine Mezher, CMO and co-founder of Sarwa.co, emphasized during the forum, you have to “know your investor, and understand that you’re establishing a long-term relationship with them.” When you consider how difficult it is to onboard VCs in the MENA region if you’re at the seed level or a non-revenue generating business, then knowing your worth and how to market it to investors becomes crucial, because this confident self-awareness could be the difference between you closing a round of funding, or, well, just closing. If you pitch your business and you feel it’s being undervalued, then stick to your guns, and keep pitching until you find the right investment partner. 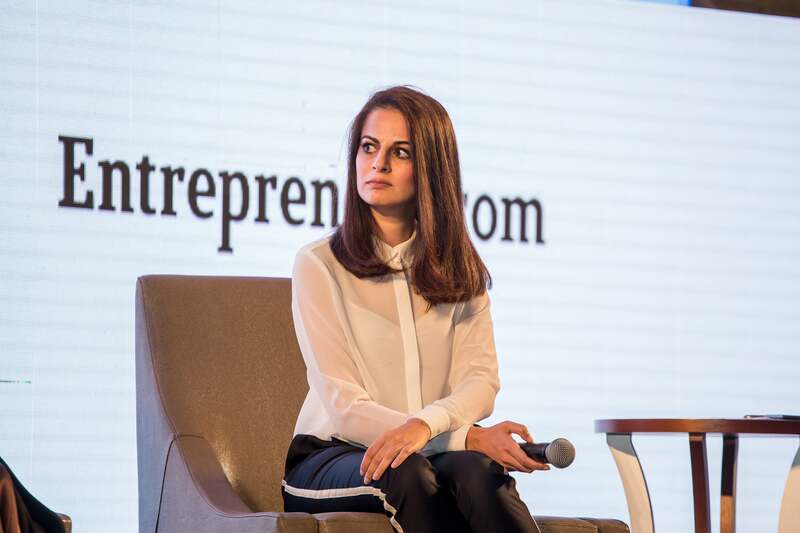 At the end of the of the day, as Mezher noted, you can only start getting what you want for your business (and yourself) by confidently “asking and speaking your mind.” The grit you need to fight for your business can only come from a place of truth: your truth. According to US-based venture capital, private equity, and M&A database PitchBook, out of a total investment of US$89 billion, only $1.5 billion was invested by VCs in female-led startups in the US in 2017. That means that less than 2% of that VC funding was invested in female-led startups, and that’s just pathetic. But can we definitively say that these VCs didn’t invest in more femaleled ventures because they were led by females? No, we can’t. While it can’t be denied that there’s a lot of unconscious bias and structural inequality when it comes to women in the startup world, I think it’s fair to say that women also have a lot of unconscious bias about their potential, and the potential of their businesses. As I’ve discussed throughout this article, women associate a lot of their struggles in the workplace and the startup world with the fact that they’re women. But as the speakers highlighted throughout the forum, women often hesitate to put themselves out there because they assume that the system will ultimately fail them, thus, resulting in an unfortunate chicken-or-egg scenario, where they don’t try because they’re afraid of failing. So, less women try, because they assume that others have tried before and failed, and so the cycle continues. Women thus remain under-represented. 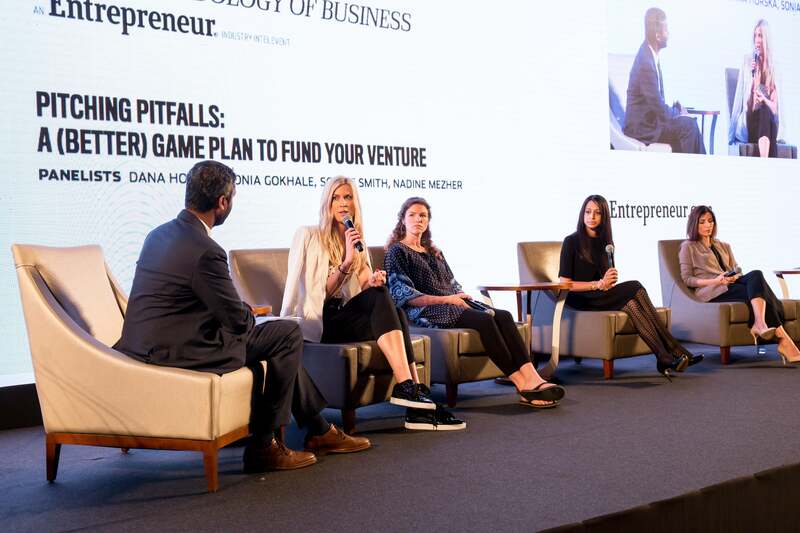 However, as Sonia Gokhale, Founding Partner of VentureSouq, noted during the forum: “The struggle with finding funding isn’t a ‘female problem;’ it’s an entrepreneurial problem.” Financial literacy is a often a department where most entrepreneurs fall short, because it’s not easy to manage your finances and value your startup– especially in the early stages. Having said that, there’s one vital thing that entrepreneurs need to know: in these early stages, investors aren’t investing in an entrepreneur’s company, as much as they are investing in their team. When all is said and done, I think it’s important for the people in our global communities to understand one crucial point: it only takes one to effect change. It only takes one person or organization to set a new precedent. Keeping that in mind, I think that we, as a community, need to keep fighting to establish more precedents in terms of gender parity, so that we can herald in a new era of inclusivity that celebrates gritty men and women.